Profligate London, 1788. Slave ships haunt the seas, bearing human cargos to further the wealth of the rich and destroy the souls of the slave traffickers. Russell Lawrence is an avid skeptic. Captain of the slave ship Barbados, wealthy, and a respected leader, he views religion as a crutch for the weak. But when the debauchery of the slave trade begins to destroy his good morals, his battle becomes more than fighting pirates and mutineers. What if there really is a God? Impressed as a cabin boy, Jack Dunbar sees his forced service on the Barbados as a God-given opportunity to witness Christ to the crew. But his efforts to influence the hardened slavers seems to be doing little good. How is it possible to live as a Christian on the sin-ravaged seas? Can his light shine bright in Africa's dark interior? Back in Grosvenor Square, Elizabeth Grey battles opposition from society and her self-seeking fiancé. Her work with John Newton to end the slave trade is being harshly attacked. She faces life branded as a jilter and radical if she stands up for what she believes in. Will she ever glean the strength to call sin by its rightful name? A tale of adventure on the high seas, redemption, and faith. Sin abounds. Is grace enough to conquer doubt and triumph over evil? So is the story which unfolds in the newly released Grace Triumphant. After reading Alicia's novella Remembering The Alamo, I am thrilled to be able to share the release of Grace Triumphant with you! Since it was released just yesterday, I've not had the chance to read Grace Triumphant myself, but based on what I saw of Alicia's winning style in Remembering The Alamo, I'm eagerly looking forward to having Grace Triumphant in hand. Alicia does an amazing job researching the historical details and weaving them into realistic characters who are easy to bond with. Grace Triumphant is now available for purchase on Amazon . 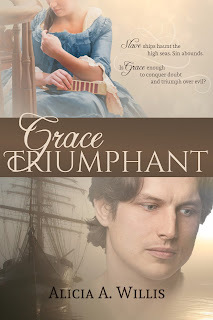 And to celebrate the release of Grace Triumphant, Alicia has graciously offered to give away an ebook of Grace Triumphant to HRH readers!! Please enter below for your chance to win a FREE ebook of Grace Triumphant! Alicia Willis is a homeschool graduate and avid historian. From an early age, she has had the desire to write family-friendly, accurate books about the past. 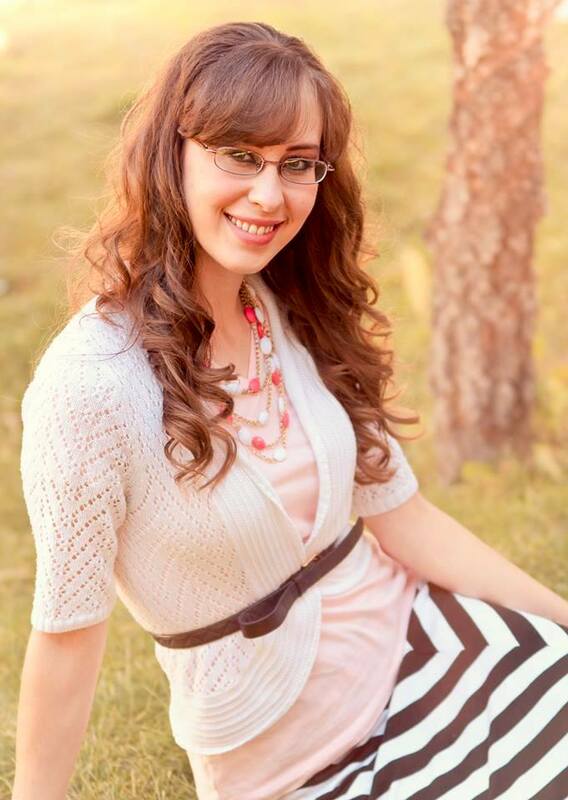 When not writing or doing endless historical research, she enjoys singing, being a church pianist, and teaching music. She and her family live in New Mexico. So glad you're a part of Alicia's release!! I have thoroughly enjoyed all of Alicia's books that I've read so far and this is one of the top on my to-read list!! Alicia, thanks for keeping Christ at the center of your writing!! I have read Remembering the Alamo (well I've read a lot of it, I haven't finished it yet). I love reading though and think this sounds like a really good read. I join you there, Salinn! :) Thanks for commenting! And...we have a winner!! 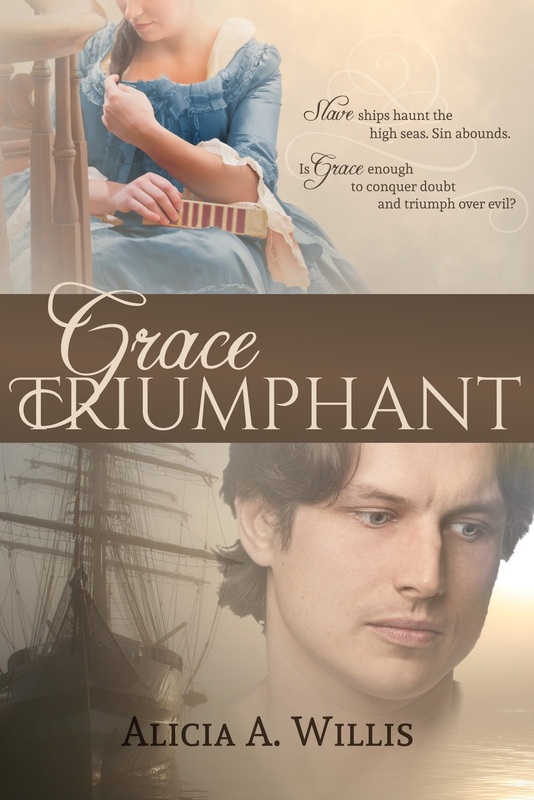 (drum roll) Congratulations, Salinn for winning the ebook version of Grace Triumphant! I've emailed you with the details. Thank you everyone for participating and being part of Alicia's new release!